The SA9605A is an enhancement of the SA9105E and SA9105F, as no external capacitors are needed for the A/D converters. The SA9605A three phase power/energy metering integrated circuit generates a pulse rate output, the frequency of which is proportional to the absolute power consumption. 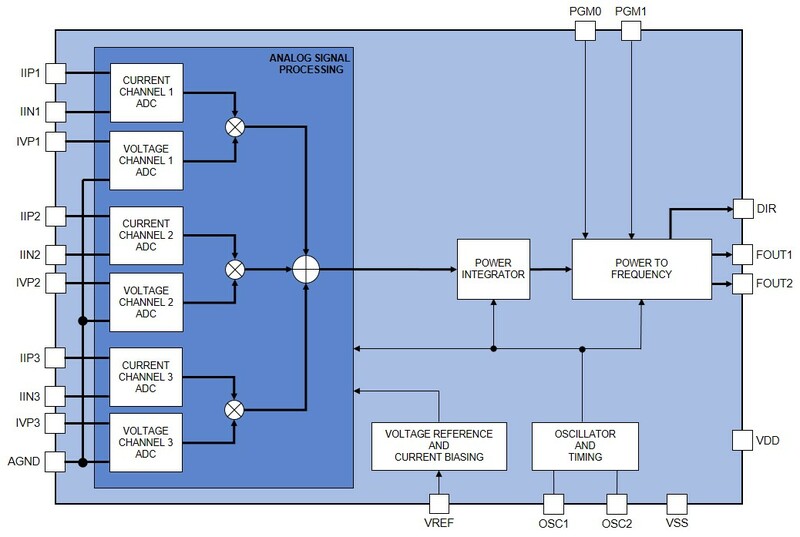 The SA9605A performs the calculation for active power. The method of calculation takes the power factor into account. Energy consumption is determined by the power measurement being integrated over time. The output of this innovative universal three phase power/energy metering integrated circuit, is ideally suited for applications such as residential and industrial energy metering and control. The SA9605A integrated circuit is available in a 20 pin small outline (SOIC20) RoHS compliant package.